In My Dashboard, click the CREATE BOOK button. 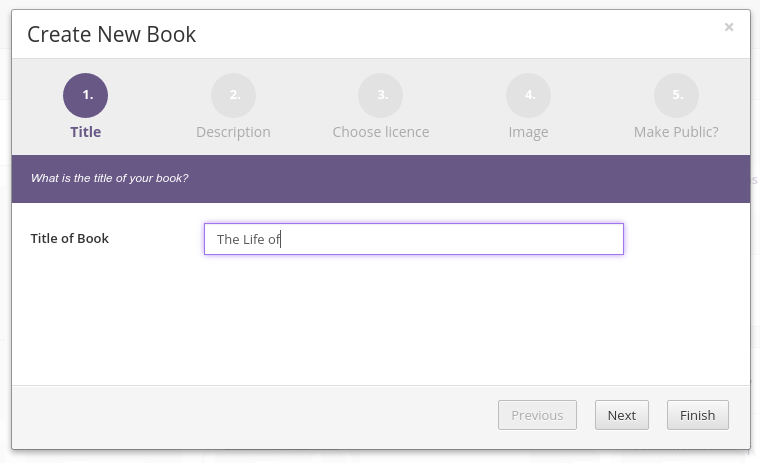 Alternatively, if you happen to be in Booktype's Home view, there's a CREATE NEW BOOK button in the Books section. The Create New Book wizard will open. The wizard has five steps. The first step is to enter the title of the book. If you happen to enter a title which already exists on the server, Booktype will warn you that there is already a book with this name. choosing whether or not the book should be hidden in lists of books on the server. All of these items can be entered or changed later. Note that, by default, your new book is not public unless you untick the Initially hide from others option in the Make Public? step. It can still be accessed by readers who know the direct URL for the book. Once you press Finish you will be redirected to your new book's Book Details page. 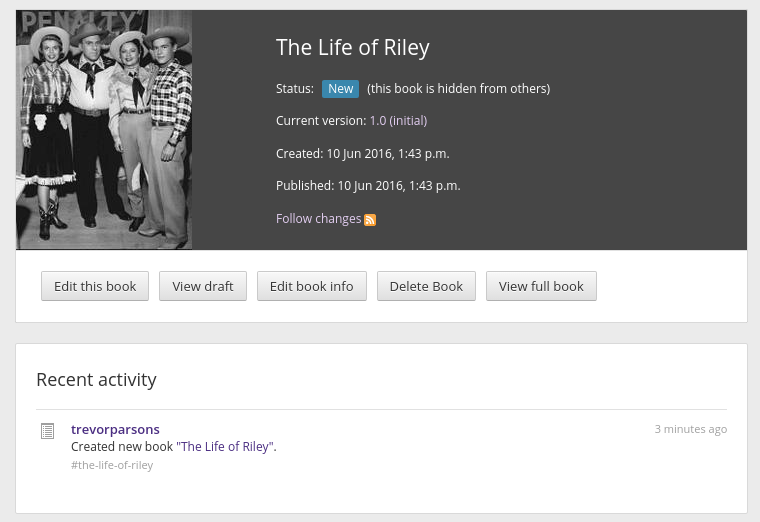 Your new book will now be listed in the My Books section of My Dashboard, together with the other books you have created and those in which you are participating.